This book explores Andy Warhol’s creative engagement with social class. 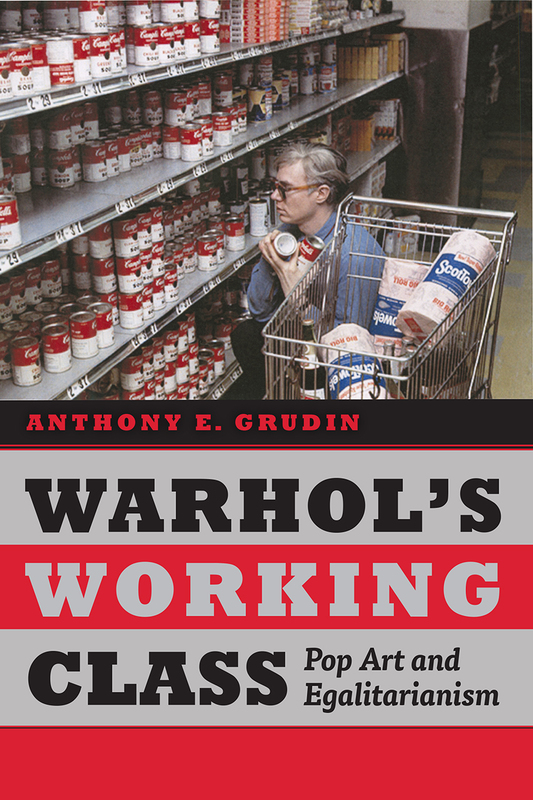 During the 1960s, as neoliberalism perpetuated the idea that fixed classes were a mirage and status an individual achievement, Warhol’s work appropriated images, techniques, and technologies that have long been described as generically “American” or “middle class.” Drawing on archival and theoretical research into Warhol’s contemporary cultural milieu, Grudin demonstrates that these features of Warhol’s work were in fact closely associated with the American working class. The emergent technologies Warhol conspicuously employed to make his work—home projectors, tape recorders, film and still cameras—were advertised directly to the working class as new opportunities for cultural participation. What’s more, some of Warhol’s most iconic subjects—Campbell’s soup, Brillo pads, Coca-Cola—were similarly targeted, since working-class Americans, under threat from a variety of directions, were thought to desire the security and confidence offered by national brands. Having propelled himself from an impoverished childhood in Pittsburgh to the heights of Madison Avenue, Warhol knew both sides of this equation: the intense appeal that popular culture held for working-class audiences and the ways in which the advertising industry hoped to harness this appeal in the face of growing middle-class skepticism regarding manipulative marketing. Warhol was fascinated by these promises of egalitarian individualism and mobility, which could be profound and deceptive, generative and paralyzing, charged with strange forms of desire. By tracing its intersections with various forms of popular culture, including film, music, and television, Grudin shows us how Warhol’s work disseminated these promises, while also providing a record of their intricate tensions and transformations. “Andy Warhol is one of very few widely celebrated artists with a working-class background. . . .Grudin builds on this fact, theorizing on Warhol in terms of social class. Surprisingly, given the volume of scholarship on Warhol, this is the first major treatment of the artist using class as a framework, and the book is thus groundbreaking. The author treats the subject thoughtfully, avoiding essentialism and embracing the concept of "intersectionality." He points out that in Warhol's art, the fact that he depicted ordinary aspects of life that all classes had access to—especially grocery products—is key. . . .Recommended." "Grudin’s arguments about class mobility, the complexities of Warhol’s first pop paintings and his use of comics and TV recontextualise some familiar images and lesser-known films. . . .With its emphasis on some of Warhol’s own issues with class, the book gives additional weight to his huge reputation." “An outstanding work of scholarship that offers innovative perspectives on some of Warhol’s best-known output. . . . A tour-de-force piece of analysis. . . . Many of the arguments made in his book [are] sure to be taken up by future Warhol scholarship."